Item Nr: B 95801 Title: Inside Out: What Makes a Person With Social Cognitive Deficits Tick? 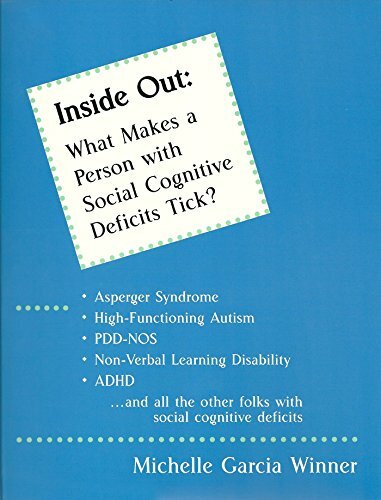 Introduces a framework of how to more specifically understand the deficits of persons with social cognitive disabilities-- Asperger Syndrome, High-functioning Autism, Pervasive Developmental Disorders-not otherwise specified (PDD-NOS), and Non-verbal Learning Disabilities. Provides worksheets and sample IEP goals.